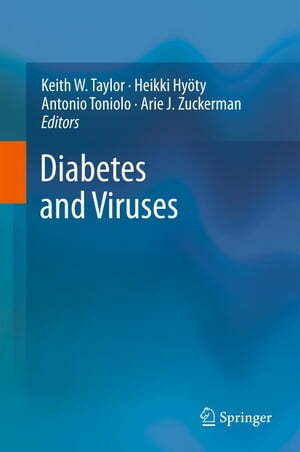 Collins Booksellers - Diabetes and Viruses by Keith Taylor, Heikki Hyöty, Antonio Toniolo & others, 9781461440512. Buy this book online. This book will assemble the views of many of the world's experts in the field of viruses and diabetes. It will look critically at some unanswered questions, in the field. Among these, How do viruses destroy or modify the pancreatic islet? Which viruses are involved? What is the role of virus-induced cytokines> Could vaccines prevent virus-induced diabetes? Until recent technological advances, progress in the understanding of the relationship between viruses and diabetes has been hampered. New technologies are helping shed new light on these mysteries. This will be the first comprehensive volume on this topic.